Spicers Retreats and Queensland Ballet have today announced an Australian-first partnership that will position both brands centre stage in the Queensland tourism market.The exclusive partnership will see three of the luxury Spicers Retreats properties across Queensland play host to a series of intimate weekend experiences and performances, curated by Queensland Ballet’s Artistic Director, Li Cunxin. 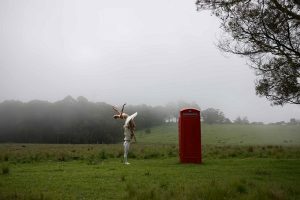 The ticketed events will take place at Spicers Hidden Vale Retreat in Grandchester, Spicers Tamarind Retreat in Maleny and Spicers Peak Lodge in Maryvale between August and December 2018, and will include adaptations of Queensland Ballet productions La Bayadere, Swan Lake, Romeo and Juliet, The Nutcracker and Cinderella. Queensland Ballet Artistic Director, Li Cunxin, said that guests will receive a truly unique experience at each of the retreats, with no two packages the same. “Each package has been curated to reflect the retreat at which we are hosting guests, but regardless of the location, people can expect wide-ranging experiences over two days spanning intimate Q+A sessions and Queensland Ballet coaching sessions, interspersed with Spicers Retreats’ finest restaurant offerings through to champagne masterclasses,” Mr Cunxin said. Spicers Retreats Owner Jude Turner said that only a very limited number of tickets would be available for the boutique events, ranging from 24 – 40 guests depending on the retreat. “Our retreats are ideal for hosting intimate events in stunning open spaces, and we could not be more excited to facilitate this opportunity at three of our leading Retreats in Queensland,” Mrs Turner said. “Guests can expect a bespoke experience, with degustation menus from our hatted-restaurants to match the accompanying performance – such as a Golden Goose egg dessert to accompany the Swan Lake at Spicers Hidden Vale. Spicers Hidden Vale Retreat will play host to the first experience from 4-6 August, with performances from La Bayadere and Swan Lake.